Earlier this week the private equity group Summit Partners announced that it had acquired MercuryGate International, a cloud-native SaaS provider of transportation management software. Although Summit and MercuryGate did not disclose the acquisition price, the whisper number on the Street was $390M. Warburg Pincus, which had a minority ownership stake in MercuryGate, was also a seller in the transaction. MercuryGate was co-founded in 2000 by CEO Monica Wooden and President Steve Blough. Wooden will transition to a customer-facing role as Chief Revenue Officer, and Blough will serve as the Chief Product Officer. Joe Juliano, an Executive in Residence at Summit Partners, will become MercuryGate’s new President and CEO. Juliano previously served as president and CEO of IQNavigator, a SaaS-based solution for managing contingent labor, and president of RedPrairie, a provider of supply chain, transportation and workforce management software. FreightWaves discussed the deal by phone with Karen Sage, MercuryGate’s Chief Marketing Officer, and Peter Rottier, a managing director at Summit Partners. Although Wooden has a strong reputation as a technologist and was even known to personally write bridge code to fix urgent problems, Sage said that Wooden’s new customer-facing role would allow her to focus on what she’s always wanted to do. FreightWaves asked Peter Rottier about the opportunity that Summit Partners saw in MercuryGate. First, Rottier spoke about Summit’s thesis regarding transportation management software and logistics services. “It’s a sector that we’ve followed broadly for many years in our software practice, and it’s a sector with a number of tailwinds,” said Rottier. 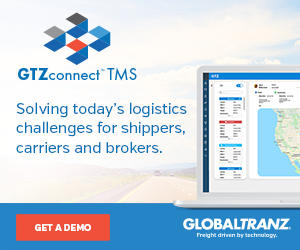 “There’s the increasing complexity of the global supply chain, a complex regulatory environment, stresses on the supply of truckers and trucking, and ‘the Amazon effect,’ which means more and more end customers wanting drop shipment, which adds another wrinkle for shippers. Given those macro trends, companies should increasingly be looking to third party software tools to find efficiencies and realize critical differentiators, like being on time and with the correct packaging at an efficient price,” said Rottier. We asked Rottier how an eighteen year old, mature TMS will be able to significantly accelerate its growth, especially given the prohibitive cost of large enterprises switching from one TMS to another provider. Rottier also discussed Summit’s general strategy for acquiring companies, building them up, and then exiting. “Our typical cycle is around five years, but it varies. It can be shorter or longer, but the main thing is we support the company and get it growing as fast as we can in a durable growth mindset, investing into the product and customer success, managing the business in the pursuit of profitable growth and improving its capital structure,” said Rottier. Summit thinks that one of the best organic growth opportunities for MercuryGate is expansion into Europe, and noted that international growth will require some investment in the product to take advantage of local resources and integrate new languages and currencies. Despite being a cloud-based SaaS provider, MercuryGate has suffered from a reputation for being difficult to implement and not efficiently managing its backlog of new customers. In 2015, JB Hunt sued MercuryGate for $3.1M over a failed two year long implementation process; although MercuryGate countersued for $5M, the suit was quickly resolved when both parties settled. The settlement terms were not publicly disclosed, but sources close to JB Hunt told FreightWaves that the outcome was positive for JB Hunt. “We’re also going to continue to enhance MercuryGate’s implementation process. Out of the box we have a very powerful tool that can be configured for various users; we want to enable our customers regardless of size or delivery mode to be able to customize it for their own operations,” Rottier said.